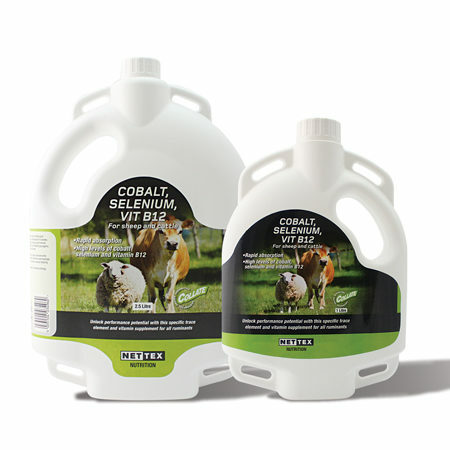 Our range of nutritional supplements for both the ewe and lamb such as Energy Boosts, Lamb Colostrum and Lamb Milk Replacers for everyday general health. 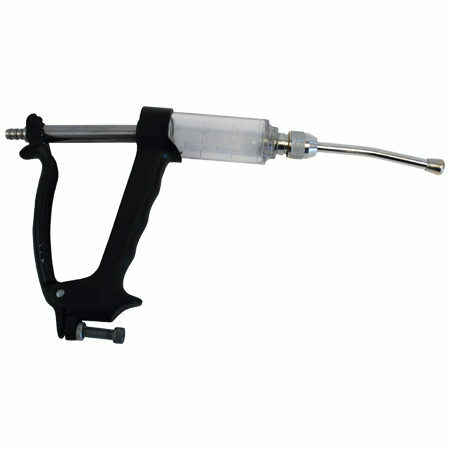 Colostrum and egg protein for comprehensive support of new-born lambs. 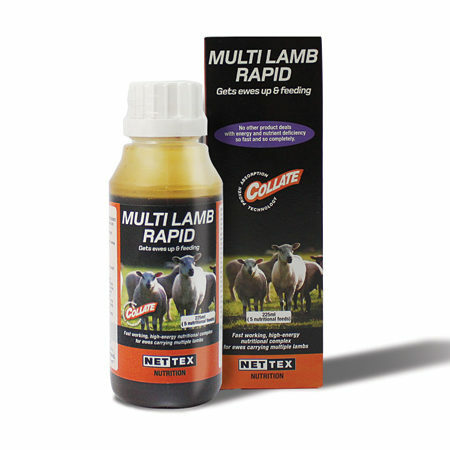 Lamb-Defence is formulated with colostrum, egg protein and trace elements to support lambs in the critical first few days of life. 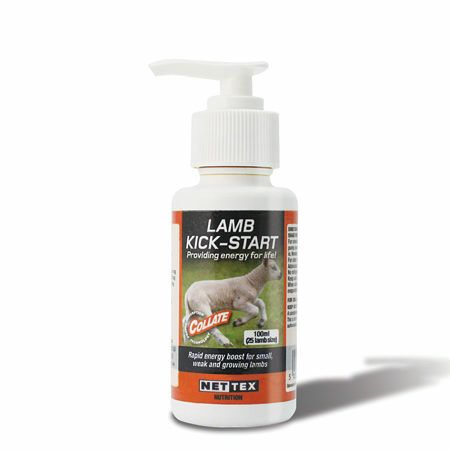 Nettex Lamb Kick Start is a glucogenic energy source to aid the elevation of blood glucose levels in weak lambs. 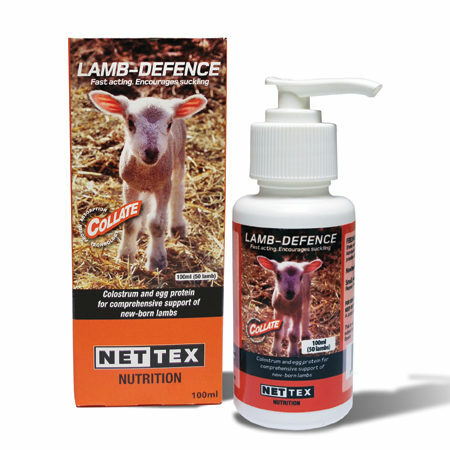 The addition of key ingredients in this supplement ensures it is especially formulated to support lambs in the critical first few days of life. Contains: Propan 1, 2 diol, cane molasses, vitamins and minerals. 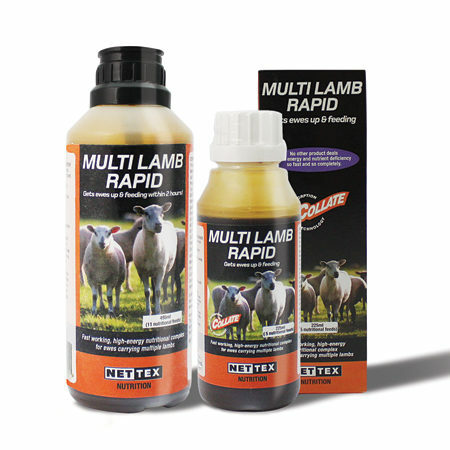 Multi Lamb Rapid is a fast working, high energy nutritional complex for ewes carrying multiple lambs. A 45ml feed will help support a ewe’s energy and nutritional needs FAST – exhausted ewes can be fully recovered within a few hours. Packed with nutrition, Sheep Conditioning Drench is a high quality, high specification vitamin and mineral drench. 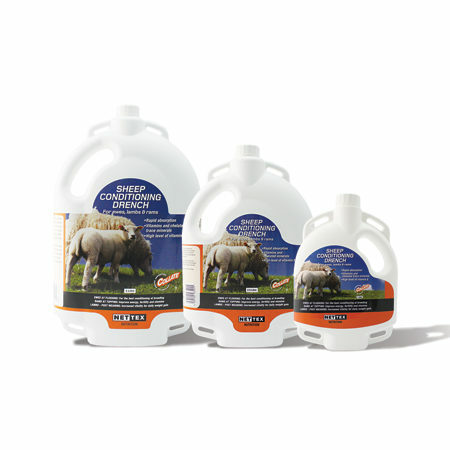 Sheep Conditioning Drench is formulated for use in ewes, rams and lambs and is ideal for use at critical points in the year to ensure animals are in the best condition possible. 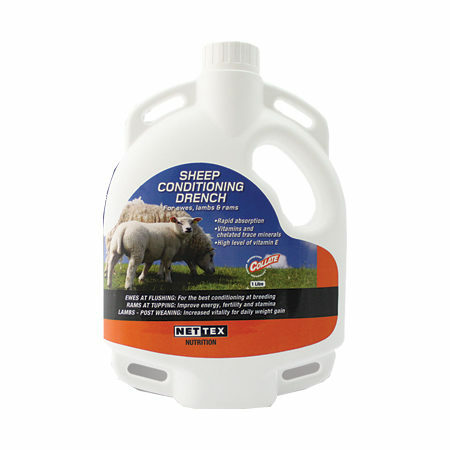 Nettex Sheep Conditioning Drench is available with and without added copper. 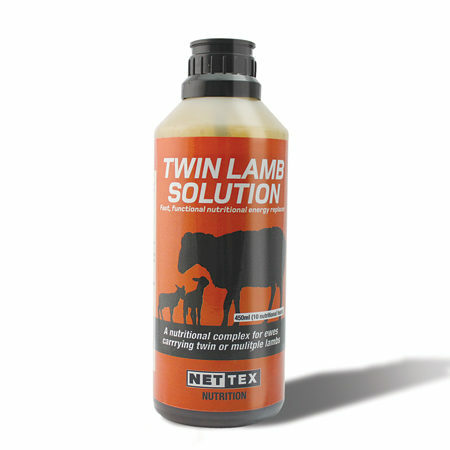 Nettex Twin Lamb Solution is a fast working, energy complex for ewes carrying multiple lambs. A 45ml dose will provide a ewe with the energy she requires quickly. Exhausted ewes can show improvement in only a few hours. Contains: Propan 1, 2 diol, cane molasses, amino acids, vitamins and minerals. 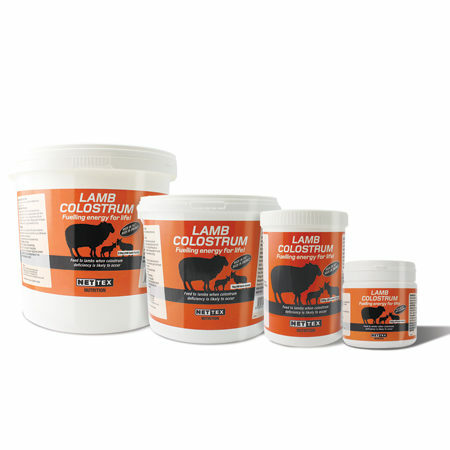 High quality, easy-mix first day lamb colostrum providing energy and support to weak and small lambs. 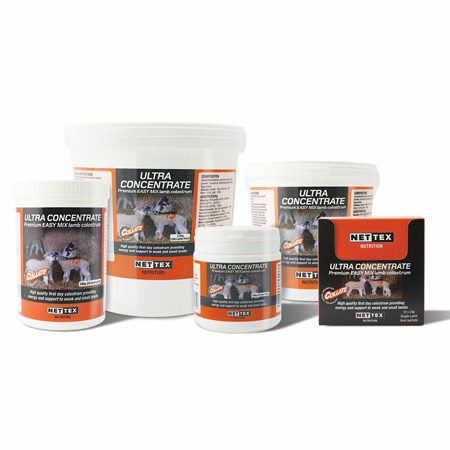 Ultra Concentrate mimics the ewe’s own colostrum in every way possible and should be used when no or insufficient maternal colostrum is available. 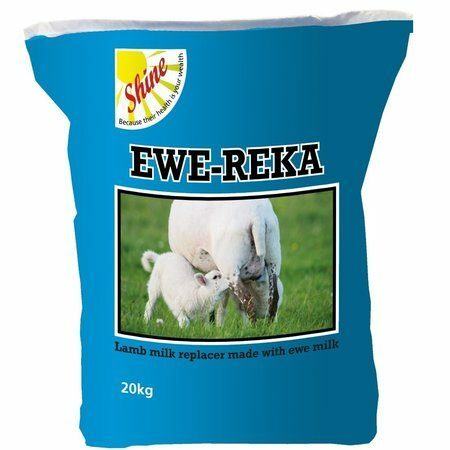 Shine Ewe-Reka is made with ewe milk – the closest milk replacer to mothers milk! To help improve lamb health and performance Shine Ewe-Reka Lamb Milk Powder is made from whey products from Ewe’s milk. 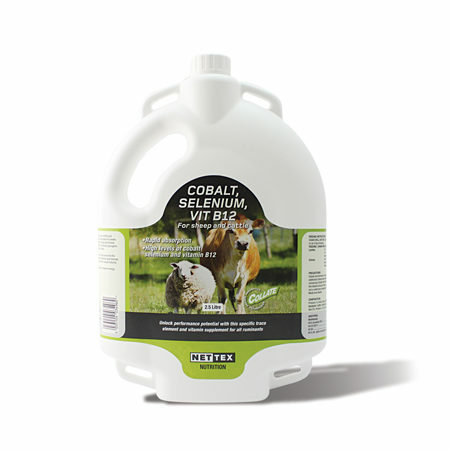 Also contains 4 vegetable oils and plant extracts to minimise clostridia bloat and scour in lambs. 20kg bag Click & Collect only from DE65 5DE.